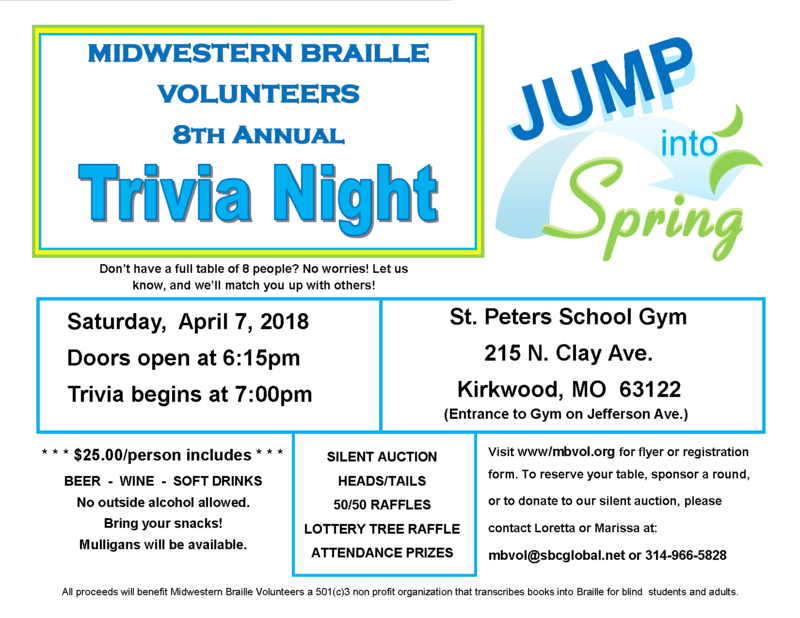 Jump into Spring with Midwestern Braille Volunteers’ 8th Annual Trivia Night! Download the PDF registration form HERE! The deadline for registration is March 26th!